Caught in the spiderweb of art, I fell I had to show you the door from within. A whole lot of ironwork for a door, a huge smashing blow to all former architectural styles, the opening gates to the land of impossible things. 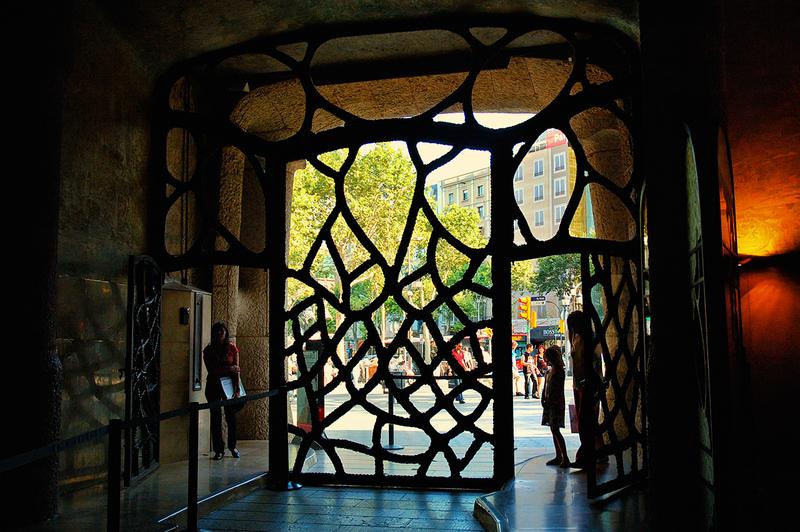 Ladies and gentlemen, welcome to La Pedrera and the imagination of Antoni Gaudi.